More and more today, the kitchen is the most popular room in the house. No longer just the place where food is stored and prepared, it has become the focal point of home life. Kitchens used to be closed off from the rest of the house with walls and doors. Today, however, both in new houses and in remodeled older style homes, you can see into the kitchen from the living room, the family room, or both. Since the kitchen is constantly on view, kitchen decorating is an important part of home decor. Some kitchens are treated as completely separate areas in plain view. Others are carefully decorated to blend in with adjoining spaces. 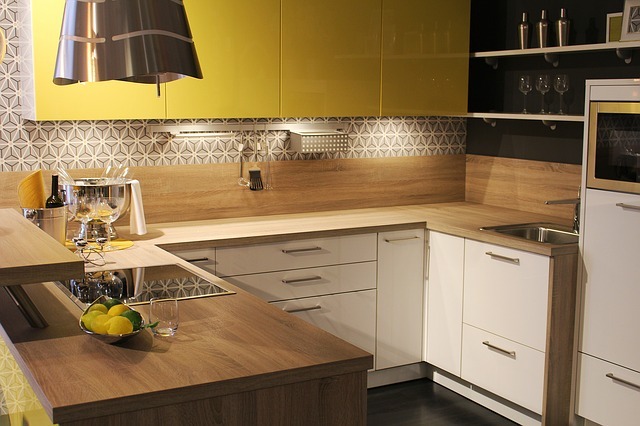 In both cases, kitchen wall treatments are key to decorating this busy room. Paint continues to be a popular choice, but the range of “kitchen” colors has exploded. Cornflower blue, butter yellow, bright reds and lively greens are commonly used as a base for French country or Tuscan kitchen decorating themes. Wallpaper options run the gamut from contemporary designs to Americana. In addition, slate, saltillo and ceramic tiles once used exclusively on floors are being used on walls to add texture and visual interest. Part of decorating a kitchen is creating an organized space. Whether you have a specific decorating theme or not, you’ll want to give some thought to which kitchen accessories stay on the countertop and which are hidden in cupboards and drawers. Many cooks find a tall cylindrical container to hold frequently used cooking utensils keeps them from frantically rummaging through drawers. Appliances that get regular use, such as toasters and electric can openers are a good choice for countertop position, although most can be mounted under high cupboards. Major appliance manufacturers recognize that their merchandise is a major visual element in any kitchen. Instead of just offering a choice between white, black, harvest gold or green, they produce an amazing range of “looks.” From gleaming stainless steel, to retro 1950’s look to standard white, you can choose refrigerators and stoves that blend with your kitchen decor. Some manufacturers can even help you match your appliances to your countertops for a seamless look. As in any room in the house, it’s the little touches that pull your kitchen’s look together. Choose a “punch” color (usually contrasting to your walls) for window treatments and a throw rug. A tiled sink backsplash in this shade will add an extra bit of pizazz. Don’t be afraid to add ornaments to the walls of your kitchen. Framed family photos, or even a collection of cookie cutters will add personality and warmth.